Usagi (bunny) ringo (apple) is a wedge of apple with ears carved into it! 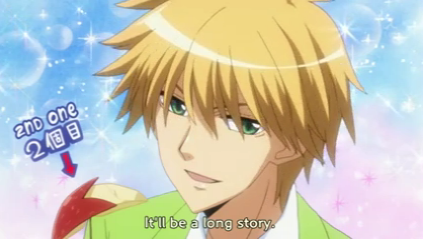 I first saw the idea in the anime Kaicho wa Maid-sama. I set out to make my own to bring to Bible study, and they are pretty simple to make! 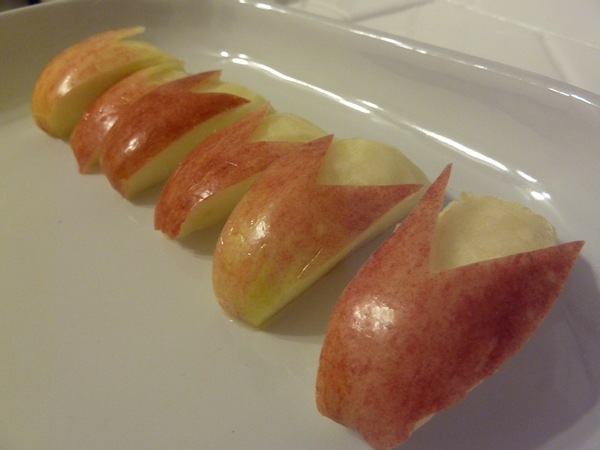 First, cut up your apple into wedges. 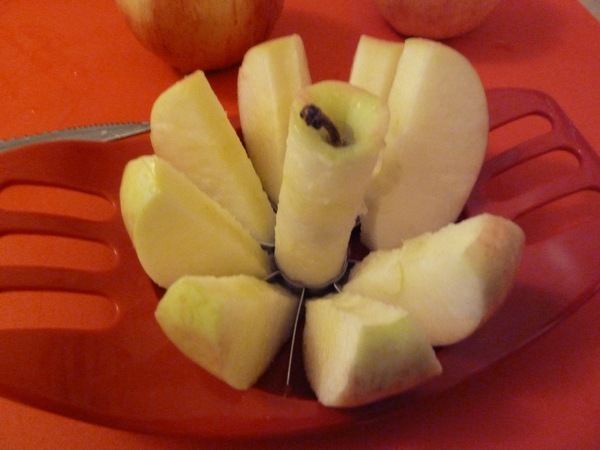 I used an apple corer since I am lazy wanted all the slices to be somewhat uniform. 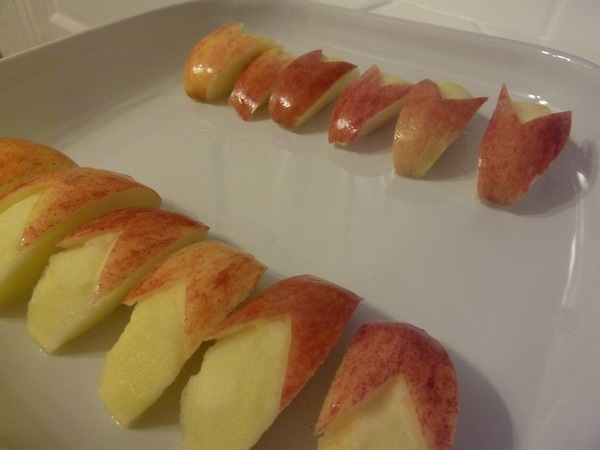 Then I dipped each apple into a solution of diluted lemon juice to prevent them from browning. 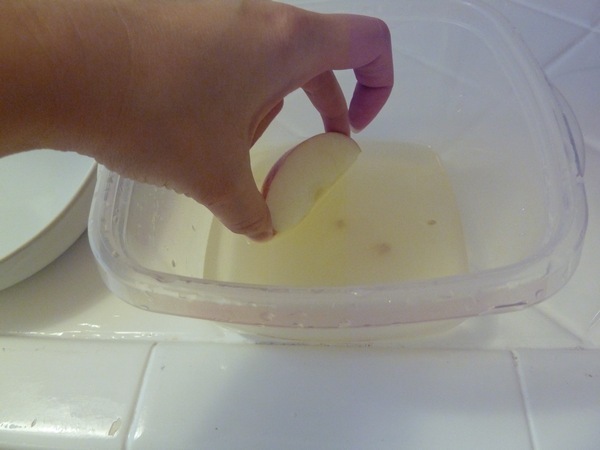 You could use pure lemon juice, but I didn't want my apples to be too sour! 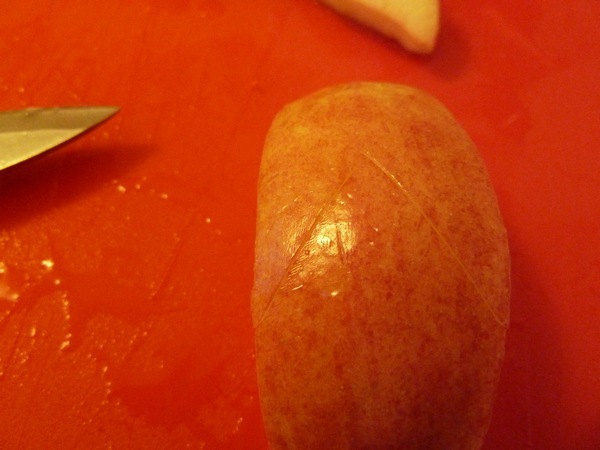 With a paring knife, cut a shallow "V" into the back of the apple. 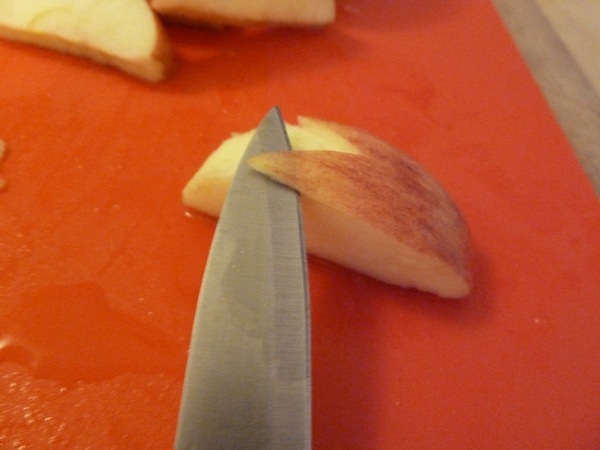 Slide your knife in along the cut at an angle, pushing the blade under the skin of the apple. 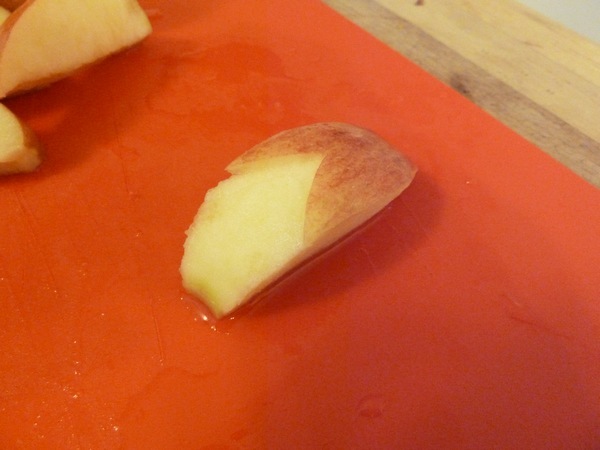 Finish "peeling" the apple until one half is naked! 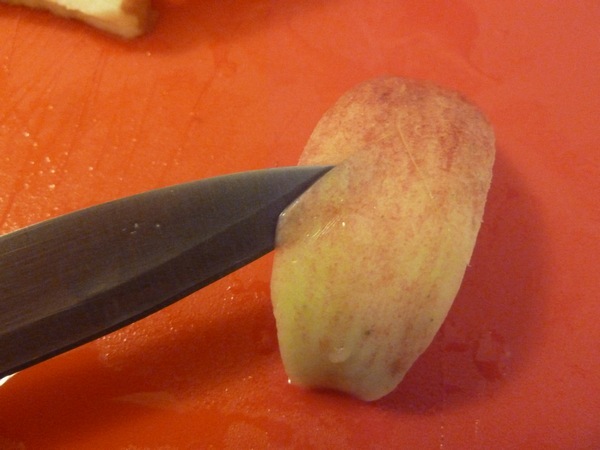 Then gently tuck your knife beneath each "ear" to lift it slightly. Finally, give your usagi ringo one last dip in the lemon juice bath and you're done! They are kind of cute, though I'm not too convinced that the look like rabbits. Maybe if they had eyes? 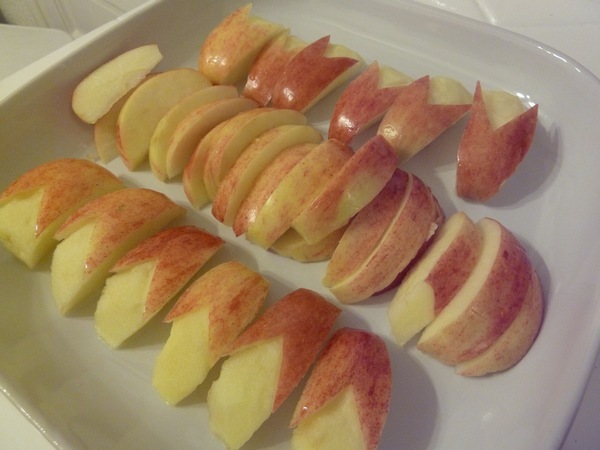 In any case, rabbit apples would be pretty cute (and healthy) for Easter! You can eat them plain, or what I like to do - dip them in a little TJ's almond and flax seed butter. Ohh, it is SO good. those are cute! 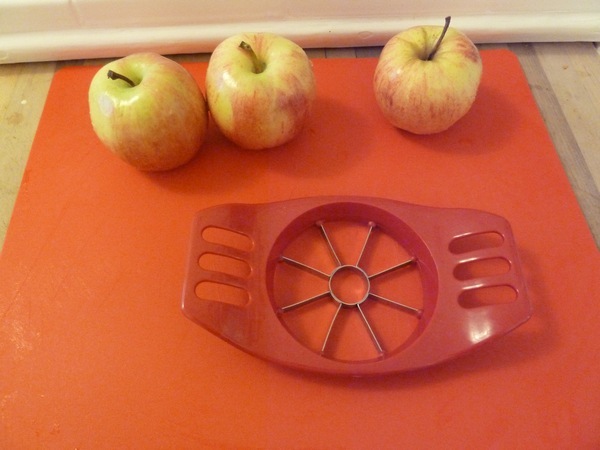 how nice of you to go through all that effort--i'd just pelt apples at people's heads in a very unceremonious fashion. Oh, the Japanese and their cute little cut-out veggies and fruits! 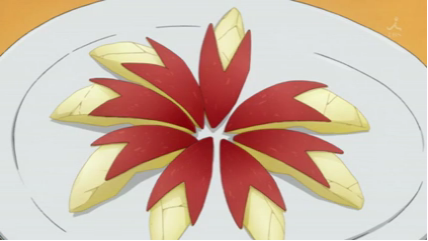 Sakura-shaped carrot disks, rabbit apples, haha! These would be great for bento, too, especially with eyes. =) Nice work! I saw these on mymilktoof.com! I love them! Wonderful for Easter! Thanks for the tip about diluting the lemon juice - I never quite know how to handle that issues and they end up a being a bit too tart for my tastes. Haha that seems like a lot of effort. :oP How do you compose your lemon solution? Thank you for posting this I'm planning on making these for my moms birthday! !